This demonstration shows how reinforcement learning helps in balancing a pole task. 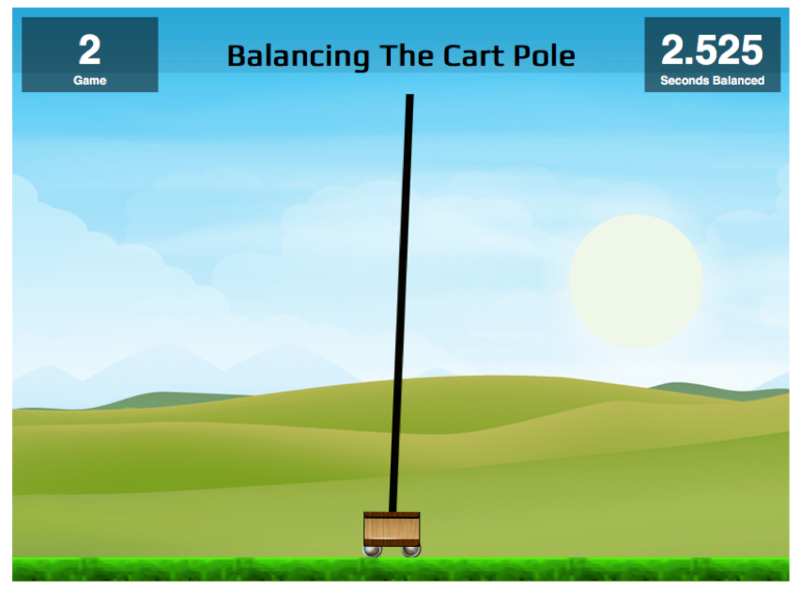 This cartpole example is a very common toy that is used to validate different learning examples. A virtual world with gravity, friction etc has been implemented. Click on see demo to view this example live.